Casey Shay Press, 9780984187904, 24pp. After learning how to make balloon animals at camp, Emily and Elizabeth set out to create the ultimate balloon twist book -- for kids, by kids, with every page in full-color photographs. They left out the complicated designs and twists that required big hands, keeping only the projects that were fun and simple to learn. 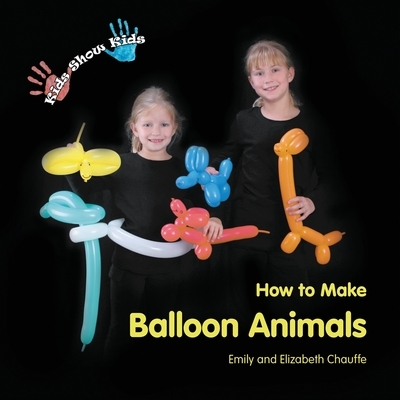 The book starts with seven-year-old Elizabeth's easiest balloon twists and works up to ten-year-old Emily's more advanced two and three-balloon creations. Included are suggestions on how to buy a pump and balloons, as well as warnings for noise-shy twisters who want to know when a part of the project needs extra care to avoid popping the balloon.